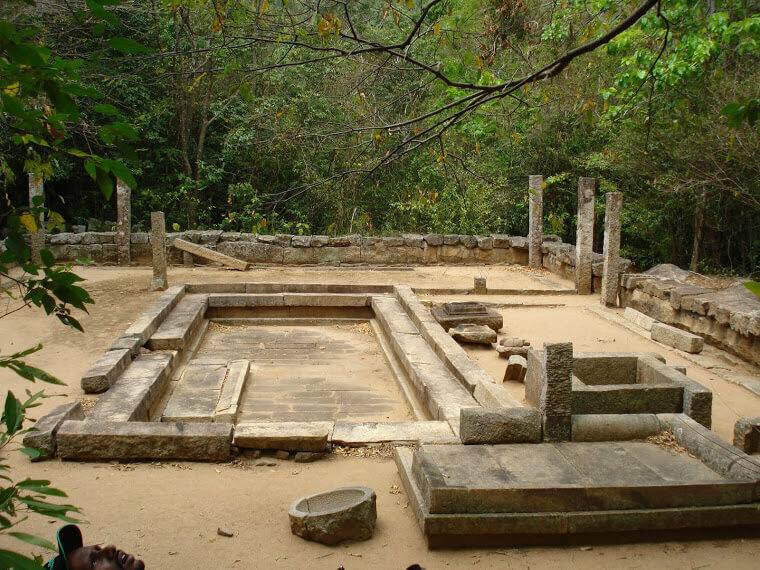 Legend: Ritigala has 70 caves that have been used as dwellings by the earliest inhabitants of Sri Lanka and subsequently as monasteries. Ritigala in the Anuradhapura District is associated with the episode in the Ramayana where Hanuman is sent to the Himalayas to fetch medicinal herb to treat the injured Luxhmana. However, the mountain fragment slipped and fell while Hanuman was over Lanka, and it broke into pieces.